Para los que desde sus comienzos apoyamos al Equipo Ciclista Euskadi, estos son unos momentos tristes. No dejamos de entender las razones técnicas que vienen a explicar el cambio de actitud y filosofía del club. Sin duda tendrán toda la razón y serán inevitables e imprescindibles. Pero eso no quiere decir que no sintamos la tristeza de la perdida de algo que sentíamos como nuestro. 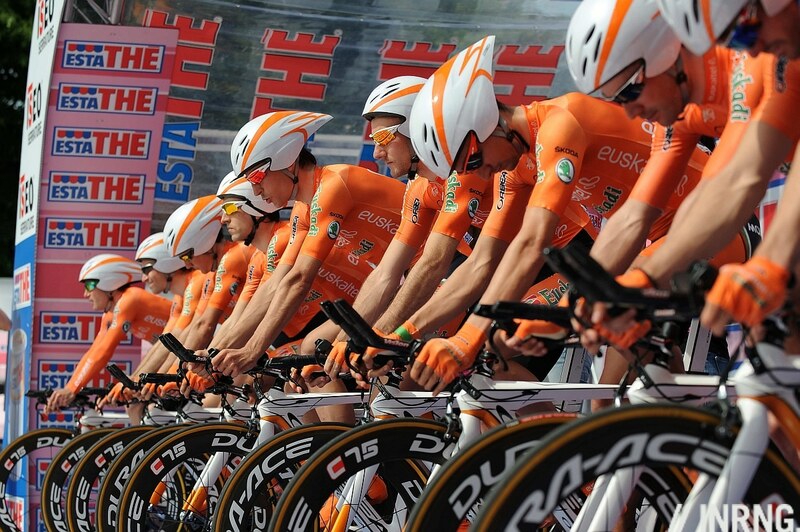 With new sponsorship secured for several years, a plan in place and fresh management the future of the Euskaltel-Euskadi team is secure. Yet in order to survive the team is changing so much that its identity and attitude could be gone. A team famous for its attacking style could now end up with the soul of a spreadsheet and the spirit of a rulebook. Over the years the Basque team has been visible and it’s not just the bright jerseys. Often in a breakaways, the team’s riders have animated many a race. Whilst Samuel Sanchez and Igor Anton have been bigger names, the squad has always been one of the most modest in financial terms and has had to take risks to win, placing men in breakaways has been a routine strategy.